_SammyBaer had the most liked content! As I am sure you have heard Nolan and I are getting a divorce. I just wanted to take a moment to say goodbye to everyone because I am not going to be on Minecraft anymore. I am not trying to sound dramatic or anything but I just would not feel welcome there after everything that is going on. I hope that everyone takes care of themselves and it has been a privilege to know a good portion of the people who play this game. You have become like a little family to me so I greatly appreciate the time I have had to spend getting to know you all. I hope that life brings you happiness and that no matter where you go you can always find something worth fighting for. For those of you who are old enough, always try to learn from your mistakes and never turn your back on something just because it is difficult, it is the effort spent that really matters in the end. I wish you all the best and I will miss you. Personally I think this is a really interesting idea and find some appeal to it. My only concern with this is that while destroying blocks that some may seem to be annoying and useless it will also destroy resources like gold, iron, diamond, and such. This would be a side effect of exploding blocks that I believe many players would dislike. However, to give my personal opinion I like the idea and would be interested in hearing what others have to say about it. I think it would make mining very interesting and harder for those that find it too easy. It would also give it a kick for those that want more excitement out of the game. With a creeper being able to explode blocks there would be the possibility of the ceiling exploding and lava falling on your head if you mine at a level lower than 11. If you mine at 11 you could lose your ground and fall into lava. Really with this change the possibilities are endless.  Welcome to the Pickaxis family, make yourself at home. Feel free to ask any questions you have. I agree with SheTolerance on this one. The black market is supposed to be a secret until people find it, then they have access to it for themselves. Also providing an easier path into it would make the market itself pointless as there would be no difficulty of getting into it. Survival is supposed to be a challenge, and is not supposed to be something that is easy on every aspect. Why cannot we just accept how things are and work with the wonderful server we already have? I personally wanted to thank SheTolerance and ZTolerance for all of their wonderful work with this weekend, along with Nick and Husker because I am sure that they helped. I have handed out a surprise present myself for anyone who participated in the drop party on Survival of 300 dollars. Make sure you guys thank staff for all their hard work, for everything they do for us. I know I am staff but I am not counting myself in this post. Staff members like SheTolerance and ZTolerance work hard on a daily basis to make sure they can create drop parties and other activities to keep players entertained and make sure players are always having fun. Just keep that in mind when playing the game and make sure to always have fun when surrounded by friends, even if they are just minecraft buddies.